The use of AR lenses continues to be an area of growth for Snapchat. 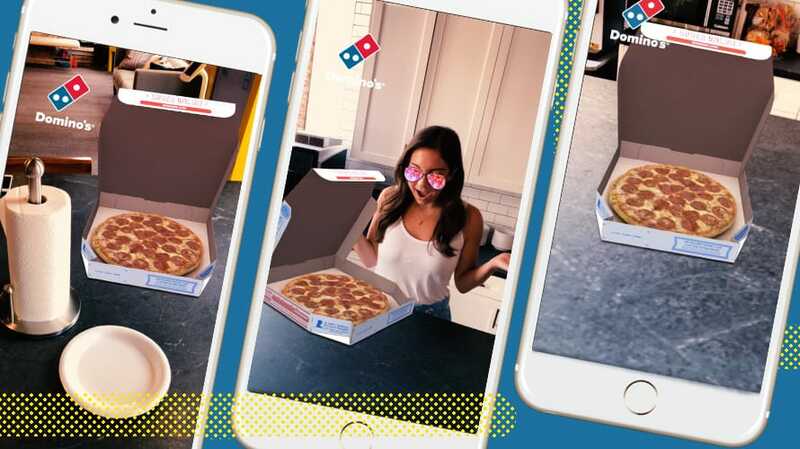 Domino’s is turning its pizza boxes—and the pizzas that go inside them—into an augmented reality campaign. This weekend, the pizza chain will begin running a national ad campaign that lets Snapchat users play with the platform’s new “shoppable AR” lens. The feature, which will be available on Saturday, lets users tap a button within Snapchat to quickly order a pizza without leaving the app. The visuals are two-fold: When a person uses the feature on their face, they’ll be wearing a pair of sunglasses, which reflect a pizza in their lenses. However, when the camera flips over, they’ll be able to see a floating Domino’s pizza box that opens to reveal—surprise surprise—a pizza. The use of AR lenses continues to be an area of growth for Snapchat—and for the brands that buy them. According to Snap, 70 million people play with the AR lenses every day, with each person spending on average about three minutes with the feature. Those minutes end up amounting to about 250 million AR-enabled posts every day—ranging from branded buys to Snapchat’s own 3D Bitmojis to more classic features such as the dancing hot dog and puppy ears. National lenses bought directly through Snapchat’s sales team—such as the one Domino’s will run—aren’t cheap. For special events or larger launches, Snapchat shows all users the feature directly within the camera as the first AR feature available. 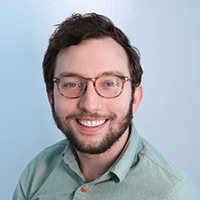 AR lenses are also available on a self-serve basis. For example, advertisers can pay between $10 and $14 for 1,000 AR lens plays with no minimum ad buy. Another option is a Snap ad that requires users to swipe up to unlock an AR feature. Those are even cheaper, ranging between $3 and $5 per 1,000 impressions.